Sometimes coding procedures on the integumentary system in CPT© really gets under your skin! But once we realize that our questions are usually “only skin deep” and that a new perspective can make coding skin procedures in CPT© less difficult, we can basque in the light of confidence. Excisional versus non excisional debridement. When to report debridement performed at the same time as other procedures/services (i.e. fractures and E/M’s). 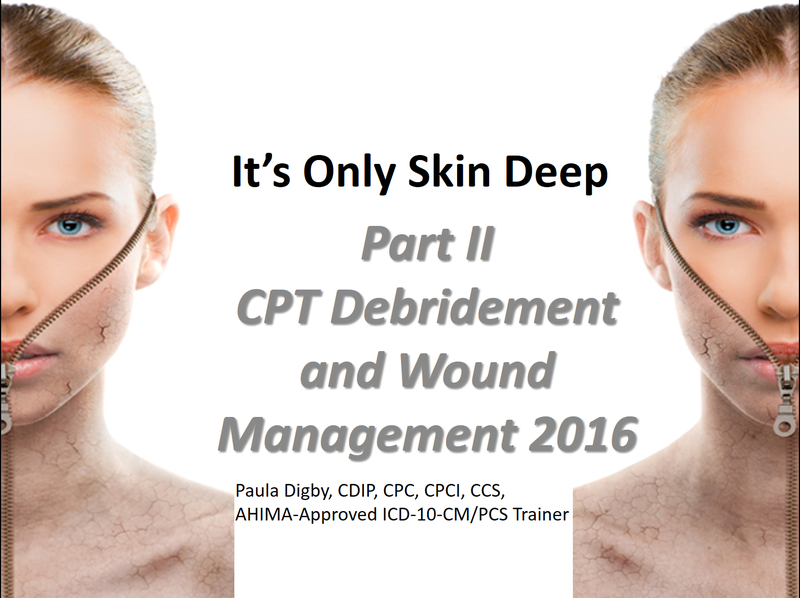 The difference in active wound management versus debridement CPT codes. When to report escharotomy codes. Current coding and coverage issues related to debridement and wound management procedures. Documentation best practices to support medical necessity (let’s talk ICD-10-CM).